Nothing should stand in the way of your skincare goals–not even your gender! Nobody wants to convey an angry or tired expression due to excess wrinkles or fine lines, and both women and men deserve to pursue options to feel more confident in their skin. The group of injectable products known as neurotoxins are known for their abilities to diminish the appearance of crow’s feet, furrows between brows, and horizontal forehead lines to help give your skin a more youthful appearance. As a male, we understand that your aesthetic goals largely differ from those of a female. The right dose of neurotoxins can help you maintain a healthy and attractive appearance without jeopardizing your rugged, manly appearance. In fact, neurotoxin treatments for men are on the rise, as they can provide anyone with smoother, firmer skin and prevent the increased intensity of lines as we age. When neurotoxins are injected into the muscle, it blocks the muscular nerve signals to no longer allow them to contract. This results in the diminishing appearance of fine lines and wrinkles. The areas typically treated are the forehead, in-between the eyes, around the corner of the eyes and around the lips, the parts of the face known as the areas of “facial expression” As these wrinkle producing muscles are weakened by the neurotoxin, natural facial expressions are preserved. Neurotoxins smooth and diminish lines for an average of 3 months and encourage collagen production, the building block of our skin. If I am interested in the benefits of neurotoxins, what are my treatment options? There are multiple products that contain the botulinum toxin type A active ingredient, with Botox Cosmetic and Xeomin being the most well-known. As one of the greatest advancements in the treatment and prevention of facial wrinkles, Botox is one of the most popular physician-administered aesthetic procedures in the United States. Applied into the muscles with a very fine needle, Botox and Xeomin injections are relatively painless treatment options that significantly reduce the appearance of wrinkles with no downtime. This allows you to resume your normal daily activities. Will people know that I had a cosmetic procedure? Botox and Xeomin treatments are not just the most non-invasive and popular skin treatments on the market, they are also the most subtle, meaning they help you reach your skincare goals without causing a drastic or immediately obvious change. Your co-workers or friends will notice that you appear more refreshed or rested, but they will not likely be able to pinpoint it down to a cosmetic procedure. Ten days post treatment you will notice that your fine lines and wrinkles have softened and that you have a smoother more youthful looking appearance. It will take 2 weeks for full impact. 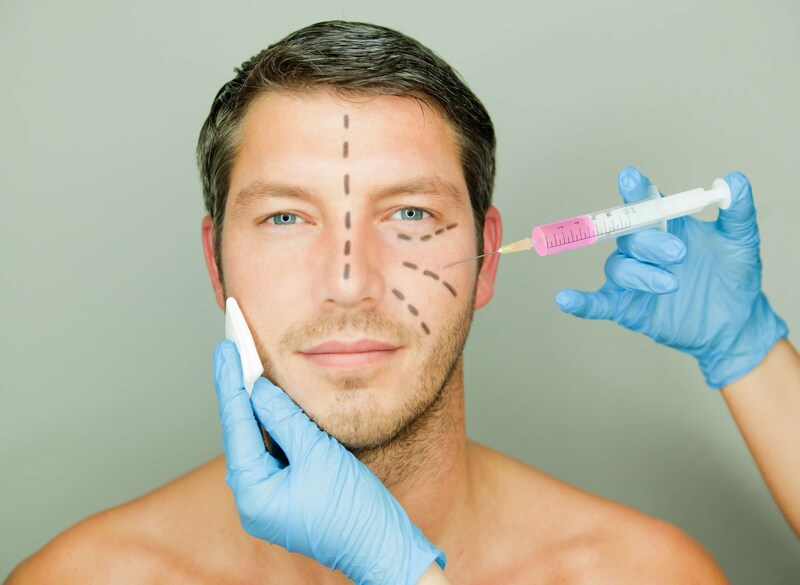 A growing number of men are benefiting from neurotoxin injections to increase their confidence, appear more approachable and friendly, and remain competitive in the workforce. Does the neurotoxin dosing level differ for men? As with all our clients, we will sit down with you for a complimentary consultation to discuss your skincare goals and create a personalized treatment plan. Dosage levels and frequency of treatments will be determined based off of your personal aesthetic goals, and we will work with you to ensure that they are reached. It is likely that your dosage levels will differ from those of our female clients because men and women have very different facial anatomy. Stronger muscles around the eyes and in the forehead can result in deeper or more apparent lines in men. For this reason, sometimes male clients need more units to treat these larger muscles of the face. Here at Artisan 57, we love getting to know our clients personally, understanding their skincare goals, and working together to develop an individualized skincare plan. If you are a male interested in how neurotoxins can help you maintain a fresh, attractive look or help assist you in other areas, we would love to meet you. Call the Artisans for your complimentary consultation!